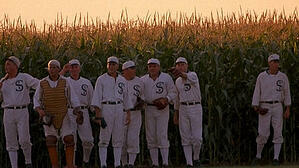 The 1989 movie Field of Dreams is, in fact, the daydream of every marketer. The line made famous in the movie, “If you build it, he will come,” embodies the desire of every marketing organization since the beginning of time. Of course, marketing has never been that easy. John Wannamaker, a famous retailer, said, “I know I’m wasting 50% of my marketing budget, my problem is that I don’t know which 50%.” My own experience indicates that not only are most companies wasting 50% of their budgets, but also the 50% that is not wasted is only getting about ½ of the results it should be. The fact of the matter is that marketing – traditional marketing, at least – is broken. Just like traditional selling, it is built on an ineffective, highly inefficient foundation. This means that improving your marketing efforts isn’t going to do you any good. Quite the contrary, merely throwing more to this inefficient system is going to further thrust your company into the black hole of The Commoditization Trap. It only communicates value and typically fails to create any. It’s trite and it’s true. When there were only three channels and virtually no other way to communicate, broadcasting worked. Today, broadcasting is highly ineffective. Picture yourself in Times Square in New York City. How difficult would it be to get the attention of people there? How loud would you have to yell? It would be virtually impossible (before you protest, the Naked Cowboy is the exception that proves my point). The typical person is exposed to 3,000 commercial messages a day, yet the human brain is incapable of processing more than 100 per day. In the last 5 years, the number of pages indexed by Google has expanded by more 360 times. This means that there are a lot of people shouting and if all you’re doing is broadcasting (shouting) with a static website, advertising, direct mail or whatever, the likelihood of getting through and driving real results is highly unlikely. Whatever results you do create will be swept away by the costs of getting and maintaining your presence. Before the age of the Internet, people relied on traditional advertising and marketing as a means to know what was going on, what was available and how much stuff cost. Today, people are building bigger barricades to keep advertisers and broadcasters out. With all of the noise in the world today, the only effective approach to marketing now is to earn people’s attention. And, in case you didn’t know this, your customers and prospects don’t really care about you, your products, or even your goings on. What they care about is themselves. They care about their lives and they’re constantly looking for ways to make it better. Contribute to that – before they have to buy from you or even give you their name – and they’ll give you their attention. The marketing tools available to businesses today make it relatively easy to overcome the barriers of traditional marketing and to transform your broadcasting approach into a finely tuned, pull marketing system. Today, if you follow the new rules: if you build it – they will come. Even better, where traditional marketing approaches favored large, high capitalized business, today size is at worst a neutral factor; and in my experience the new world of marketing plays to the strengths of small and mid-market companies willing to work at it. Create value by providing useful information and knowledge that will help your customers and prospects. Give it away and give up control. That’s right – give it away. Don’t ask for money, don’t ask for commitment, and don’t even ask for an email address. First give, then over time you will receive. If you follow these three simple rules, you’ll be able to build an enormously valuable marketing asset and you’ll be able to eliminate marketing expenses.